Adam and I interact mostly on Facebook where he has created a number of very active Facebook groups including one called Computer Science Educators He's a man of ideas and opinions as well as a seemingly insatiable drive to share information with others. I was pleased he was willing to take the time with my questions. I just started a new job at Golda Och Academy (K-12), a Jewish school in West Orange, NJ where I am responsible for the 6-12th grade curriculum. 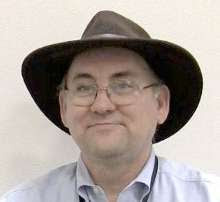 Historically, I have a Bachelor's Degree in Computer Science from the University of California, Santa Cruz, where I was an undergraduate teaching assistant to a whole host of lower division and upper division Computer Science classes. When I finished my BS degree, I lasted (literally!) one day in the computer industry and went on to become a professional musician and music teacher. Later, living in Naples, FL, my full time music teaching load was cut to 50% due to the national financial crisis and a single computer science class of all levels was added to my schedule for the following year to increase my load to 66% and give me full benefits. Ultimately, that class turned into a full department of two teachers, 150+ students, and a four year 9-12 CS curriculum which I was training my fellow district teachers in for 3 years. Having first taught (as a TA) in an university environment, I find myself to be fairly traditional in my approach with lectures combined with lab time and prefer straight rows of desks with computers and mostly shy away from group work except in the most advanced classes. Where I depart from tradition is I avoid tests and homework and work very hard to intrinsically motivate students with project based learning. Students seem particularly motivated to write their own video games and learn advanced computer security (truthfully, hacking in the older MIT sense of the word - students are inundated with media surrounding computer security everywhere they get their news and I have found it to be my most popular class). My running joke is that my biggest discipline problem is that students don't want to leave my class when the bell rings, which isn't far from reality. My current administration is extremely supportive, but I will say that historically there are always two main challenges. One, is getting the administration to understand that the material being taught is experimental creating somewhat of a disconnect with traditional teacher evaluation solutions. Other people have books that tell them what to teach in what order and pretty much everyone agrees what should be taught in, for example, an Algebra I class, whereas I am working on classes with little to no precedent in K-12 that I ultimately hope to write the book for others to use. Two, is getting Information Technology to understand that the staggering pace of change in Computer Science means that a, to be diplomatic, less conservative approach to new hardware and software is necessary. As above, administration is at my current school is extremely supportive. They well understand that Computer Science is a young subject and allow me the flexibility to create new classes and curriculum. Access to the 6th and 7th grade students is particularly exciting and I am already finding 6th and 7th graders who are capable of doing collegiate level Computer Science work. Having grown two entirely elective programs, one public and one private, to the point of overloading my schedule, the percentage of students involved in the program is part of how I define my success. We instituted a Girls Who Code club at my previous school and grew the female representation in the program from 5 students to over 50 in 3 years, which is one of the achievements of which I am most proud. I also keep in touch with as many of my former students, particularly those majoring in Computer Science, to see how well prepared they felt walking in a collegiate computer science program. To me, a 5 on the AP exam means nothing if students aren't walking into college and knocking their CS classes out of ballpark. It fascinates me that one of most common things I hear from my students majoring in CS is how useful learning to programming in the Linux/UNIX command line was for them. I am particularly proud of my interweaving of history with computer science. Students have access to a whole host of working vintage computer systems including Apple IIs, Ataris and (soon!) Commodores for hands on use. Vintage computers are also integrated into the curriculum using Apple IIs to teach beginners AppleBASIC, 6502 assembly to advanced students and we use famous early Atari games to teach concepts including object oriented design and applied trigonometry. At the same time, other parts of curriculum are cutting edge with tools like Swift 4/Xcode 9 and Visual Studio 2017 (C#/Visual Basic). In part, the goal is to get students to stop worrying about Windows vs. Macintosh vs. Linux and realize everything is just a computer whether an Apple II+ from 1979 or their brand new Apple iPhone <insert latest number here> in their pocket. Hence the term "Cutting Edge Old School" (ceos) Computer Science. From time to time I like to highlight computer science teachers with virtual interviews posted on my blog. The first series was in 2013 (CS Educator Interviews: The Index ) and I decided it was time to start a new series in 2017. New interviews will appear on Tuesdays and Thursdays when I have new interviews to share. One improvement in this series is a larger number of teachers who teach elementary and middle school students. K-8 computer science is growing by leaps and bounds which is a wonderful thing. This post will be regularly updated as new interviews are posted. Here is the current list of interviews. Rebecca Dovi – The Director of education and co-founder of CodeVA, a non-profit CS education effort in Virginia. Emmanuel Schanzer - Director of Bootstrap - computer since mixed with algebra, physics, and more. Sheena Vaidyanathan - an amazing and innovative K-8 computer science teacher and technology integrator in California. Mike Thompson - Technology Education at Haverhill Cooperative Middle School in North Haverhill NH. Adam Michlin - Grade 6 through 12 computer science teacher in New Jersey. Michelle Lagos serves on the CSTA Board which is how I first met her. She is currently an At-Large member. Several years ago she was the International Representative. She brings some interesting perspectives to board meetings and CSTA is lucky to have her involved. I was very pleased when she agreed to this interview. I teach at the American School of Tegucigalpa, a bilingual private school in Honduras. We are a U.S. accredited school (by AdvaceEd) which grants us the right to extend High School degrees and for over a decade have been offering the International Baccalaureate Program as well. Our students have the opportunity to graduate with up to three diplomas: High school, IB and Honduran Science and Humanities Baccalaureate as granted by the Honduran Ministry of Education. The American School of Tegucigalpa was founded in 1946 and it´s legacy families are now in their third generation of students. I started teaching CS in 2000 as a senior at the Universidad Católica de Honduras (Catholic University) while finishing my CS Engineering degree. I was offered a job in a bilingual school as a Computer class teacher. From there I got hooked on teaching and have dedicated most of my professional career to education. Our computer science curriculum runs from K-12. We started teaching application computing and over the course of a few years we have been moving gradually towards CS. We follow ISTE standards for K-2 and CSTA standards for 3-12. With high school (which is where I teach) we are currently basing our course in the Computer Science principles course, and using the common-sense media Curriculum for our digital citizenship unit. I consider my philosophy to be quite oriented to project based learning. Considering that our courses are one semester long, I find that we can get better results through projects. What makes it my CS program? My kids!!! Every year my course is different depending how fast my kids absorb the content. As any teacher I guess, I tweak and adapt my lessons sometimes on the spot and the “aha” moments I get are the best reward! The biggest challenge is time! We only get one semester as our students have a full academic load so we have to adjust the schedule so it doesn’t become too much for them. This then contributes to a lack of interest in the subject by most stakeholders at school. YOU TEACH AT AN "AMERICAN SCHOOL" IN HONDURAS, IS WHAT YOU TEACH IN YOUR SCHOOL MUCH DIFFERENT FROM OTHER SCHOOLS IN HONDURAS? ANY SPECIAL CHALLENGES OR OPPORTUNITIES THAT YOU HAVE? I believe that what we teach is pretty different from our Honduran public system schools. (Honduras education system is divided into two mayor categories, public and private and within the private we have the Spanish-only speaking schools and then we have bilingual schools, mostly Spanish English. The latter is where my school fits into. For starters we teach in English, we aim for higher levels of academic performance than public schools but still try to comply with the country’s education curriculum objectives. We have the opportunity that my school is currently starting a STEM program and CS has found its place in it. Again, our biggest challenge is time. Most of our schools public and private struggle with budget but the public system struggles much more. Remember Honduras is a third world country, second poorest in all the western hemisphere. This means that sometimes getting the resources we would like takes time and much negotiating. However, because most of our students leave Honduras for their higher education, we have the goal to prepare them the best we can to be a competitive student in most areas anywhere they would like to go. An opportunity I, as a teacher, takes advantage of is that our government has made CS credits mandatory for graduation, so that helps a lot. My administration is more supportive than in other schools. We have a great curriculum director that understands the need of CS in today’s students lives. Our principals are also supportive when my department (which I am the head of) bring up new project proposals, they take them seriously and bring it up to the rest of the decision-making authorities. If there is any room for improvement it is along the lines of people understanding that CS is much more that hardware, plain coding or software. But we are doing our best to shed light on the vastness of the subject and its scope. I measure success in my program when I hear my students don’t have many issues in their CS courses in college. That feedback is extremely important and helpful. I assess my students by abilities and when I see them understanding coding and loving our robotics unit, I find my program successful. YOU'RE VERY INVOLVED IN CSTA AS A BOARD MEMBER. WHAT MADE YOU GET INVOLVED IN THAT WAY? Sometimes being a CS teacher is a lonely affair if your department is not that big and your school is a bit ahead than others. I started looking for a community of teachers where I felt I belonged and could rub elbows with. A place where I could go for news, resources and support. 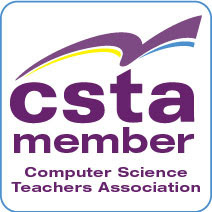 I browsed through many associations and felt that CSTA fulfilled the purpose of support I needed as a CS teacher. I wanted to be more involved, but I couldn’t belong to a chapter as international chapters don’t exist. So, when I read in The Voice the call for nominations I decided to apply for international representative. I thought it would be a long shot but I am so proud to say that I became the first female latina to be part of the board and now the first international member to be serving in a position other than the international representative. When I started working with the board, I felt right at home with a group of people that shared my passion for both CS and teaching. People that were doing serious work and proposals to improve CS around the world and I couldn’t be prouder to be a part of it. To this day I feel that CSTA is doing a great job supporting K-12 CS teachers. Every year the conference gets better and bigger. There are lots of opportunities for teachers to get PD and network with other CS teachers which becomes a valuable thing. Who can benefit from CSTA besides Michelle and AST? I am constantly trying to renew and update my curriculum and I want my kids to have more opportunities to learn what's out there. PD would be good as well as speakers and invitations to conferences. I also try to promote CS in girls and help them discover different opportunities in life. Bob Irving teaches middle school students and seems to have a lot of fun doing so. He constantly learning new things to share with his students. He is half of of a great CS team at Porter-Gaud School in Charleston, SC. I interviewed the other half a couple of years ago – Doug Bergman. Between the two of them students have some great opportunities to learn computer science. I teach at the Porter-Gaud School in Charleston, SC. It's a 150 year old k-12 independent school with enrollment of about 900. I actually taught history and English in high school for years. Was an early adopter of computers (owned a Commodore 64!) and used them in my classes, eventually became a tech integration coordinator. Went back to school to learn application development, which included building business applications with databases. Plan at the time was to segue into development. Graduated just in time for the first tech bubble to burst! Decided to go back to teaching school and haven't looked back since! We have a fabulous curriculum at Porter-Gaud, which was started by Doug Bergman. CS is a required course for all students from grades 5-9, after which students may apply to be in our program. Current upper school enrollment is about 35% of each class, with about that percentage of female participation. I teach grades 5-8. I have each student in the middle school for a quarter. We just were able to institute required classes in 5 and 6 this year, so I am building those out. CSTA said middle school computer science should be about exploration with different technologies, and I heartily concur. So in our ever-changing landscape of tech, right now I am teaching the following in various grades: micro:bit, Kodu, Dash robots, LEGO robots, Scratch game programming, HTML, Minecraft Pi (intro to Python by coding Minecraft), Sonic Pi (live music coding), and physical computing using Raspberry Pi's. I have 2 networks of computers in my room: Windows 10 and Raspberry Pi. I use both according to what best suits the needs. As always, there are other things on the horizon that I am investigating for future use. Right now that includes 3 new 3D printers and MIDI controlled music, and looking into Makerspace stuff that fits with what we do. I live for the "aha" moments in education, and I think they are best achieved by having a very hands-on, project-based experience. I like to answer student questions with other questions ("Where do you think you could find help for that?" or "Have any of your neighbors figured out how to do that?"). I believe in giving as little direct instruction as I can get away with, though I do supplement lessons with videos on my YouTube channel (crouchingpython). Middle school students do not want to listen to me talk! But I am sensitive to those who are struggling and need some hand-holding! I really can't complain. We have amazing support from our administration and have a lot of latitude to explore different approaches. One factor that helps us is being an independent school. That not only frees us from mandated teaching to various tests, but our CS program has become a major selling point to prospective families. See above. We get financial support, as well as time in the schedule. This is going to sound a little cheesy, but I measure it by the excited students who usually run into my classroom to get started! I'm always trying to up the engagement factor. I also get a wide range of interest and ability, so I try to make sure that those students who are self-described "not techy" are also getting it, are engaged, and leave the class feeling that all this coding and stuff is actually pretty cool. I promise my students on day one.... HARD FUN. This is something that I stole from one of my heroes, Seymour Papert. They all know exactly what I mean by that in a week or two! It's not easy stuff, but they want to make it work. I also host a Minecraft Club here, which this year has over 70 members. This is just for "playing" Minecraft. Twitter: @birv2, @crouchingpython. I also host a weekly Twitter chat for Raspberry Pi teachers called #PiChatUSA.